CP#1 and #2 are growing up fast. We decided this year they would be ready to try cross-country skiing. Plus if there were ever a winter to embrace the outdoors, this one is it. DP grew up skiing at Carter’s in Oxford, but we decided to try some place closer to home for our first outing. On a bright, 20º Saturday afternoon, we bundled up and traveled to Pineland Farms in New Gloucester. 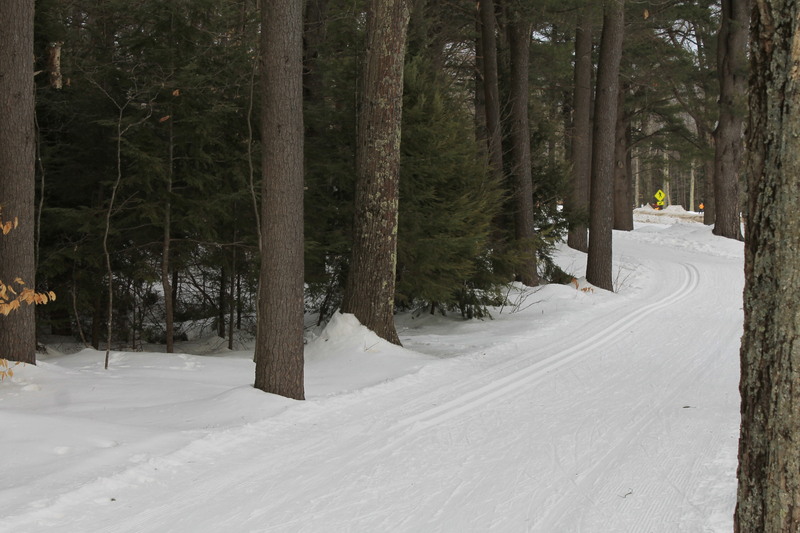 The ski center features expansive trails, ranging in difficulty from beginner to advanced. 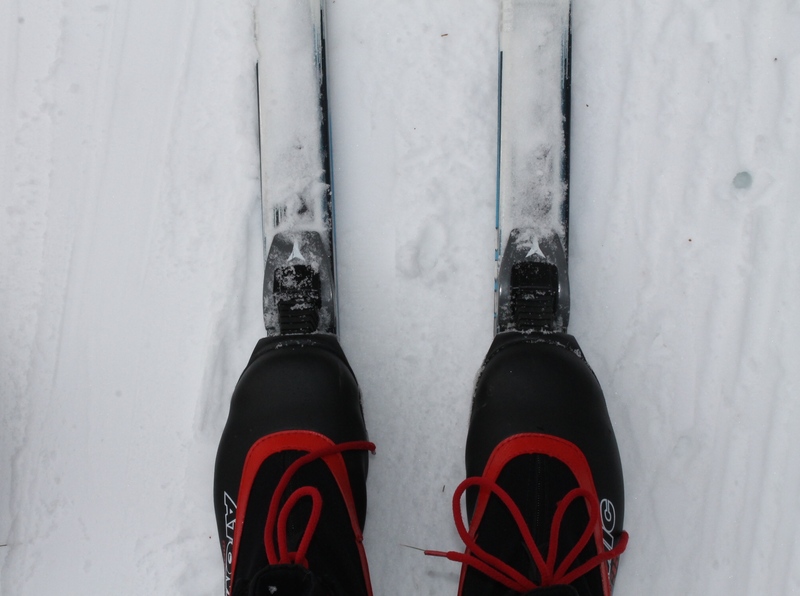 We rented skis, boots and poles at the farm, and the friendly staff made us feel right at home. “You’ll have a blast!” said the young woman behind the counter once we were fully outfitted. DP, who is the designated map expert at our house, decided on a nearly 3 mile trail to get us started. Once we all put on our skis, we traversed up our first hill. CP#2 lead the pack, followed by his Dad, CP#1 and MP, who admittedly is the slowest skier in our crew. The slippery hill was a tough way to start, but once we got past it, the remainder of the trail was fairly flat. The trails at Pineland Farms are well groomed and signs point you in the right direction along the way. 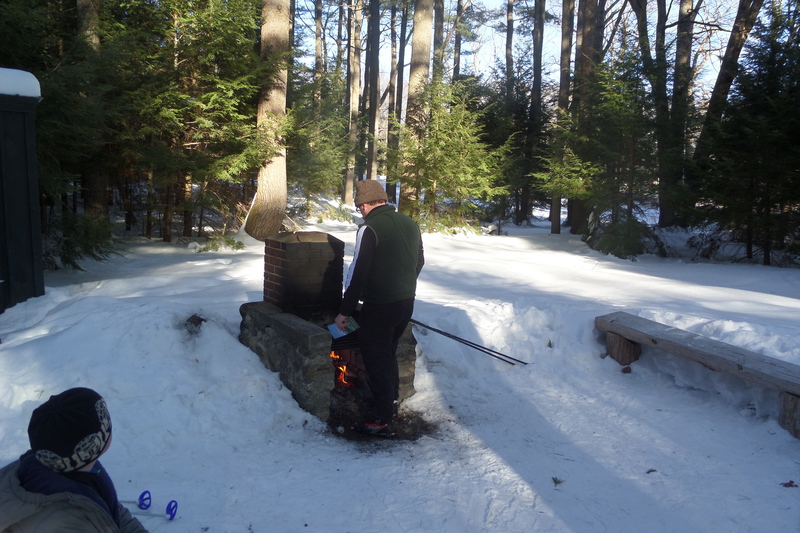 We took our first break just past the skating pond, where skiers will find a fire pit. CP#1 was also pleased to discover bags of marshmallows and sticks for roasting. 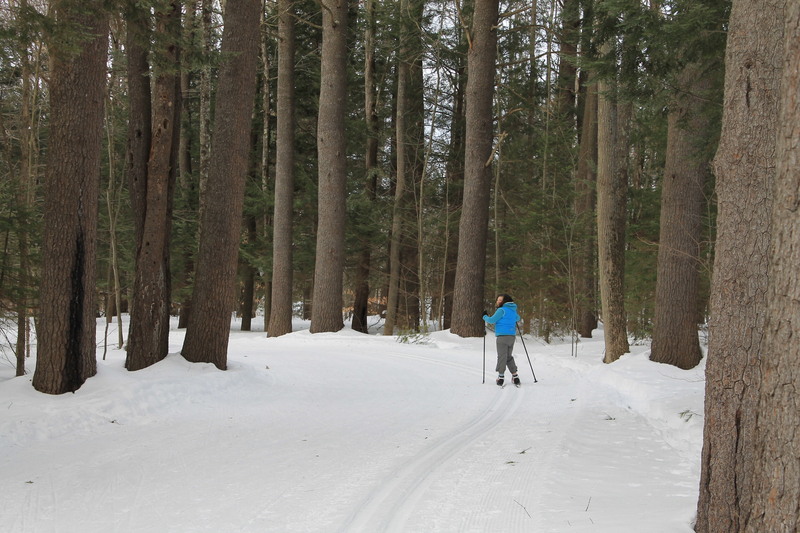 After our break, we skied the Oak Hill Trail, which took us down some fun little slopes and through a gorgeous stretch of woods. It was at this point in the excursion that most of us found our skiing mojo. One skier in our troupe—who shall remain nameless—wanted to cut the trip short due to fatigue, but we pressed on, encouraging each other along the way. By the end of the ski, all of us were tired, but in a good way. CP#1 asked if she could return the next day as soon as she took off her skis. MP worried about the cost of skiing twice in one weekend. Afternoon rentals and passes for our family totaled $60. Thankfully, she noticed a brochure for WinterKids, a non-profit that offers affordable outdoor programs for Maine families. 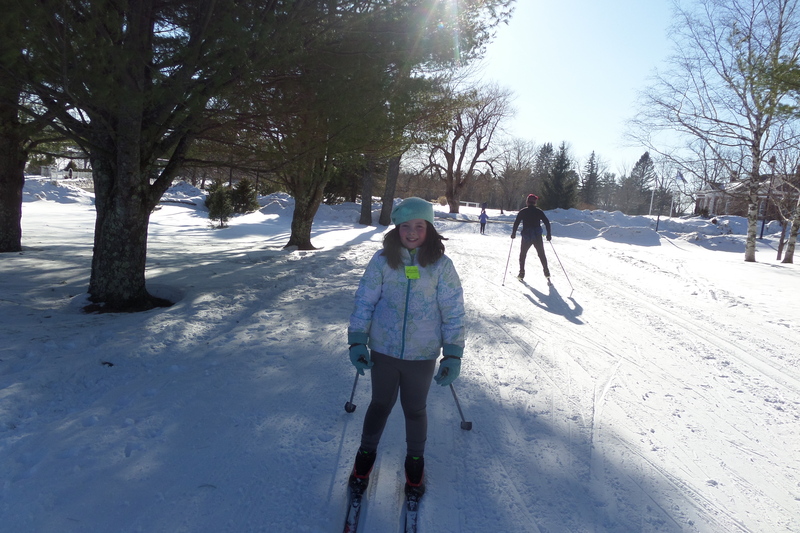 MP knew WinterKids provided discounted passes for downhill skiing, but she learned the non-profit also offers a WinterKids FunPass for cross-country skiing, snow shoeing and tubing locations as well. 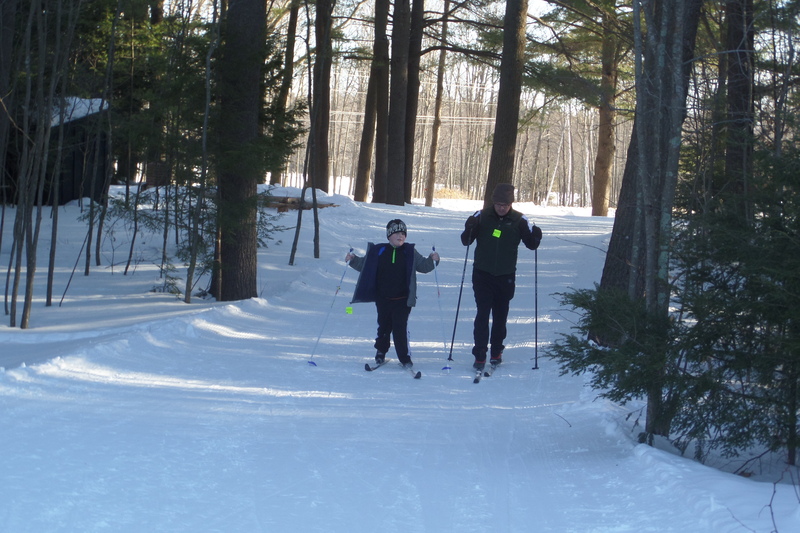 The FunPass is good for kids from preschool through fourth grade, and it allows them to try cross country skiing and snowshoeing for free! Downloading the pass on the WinterKids web site is quick and easy. The pass is good for three visits to 19 locations throughout the state! 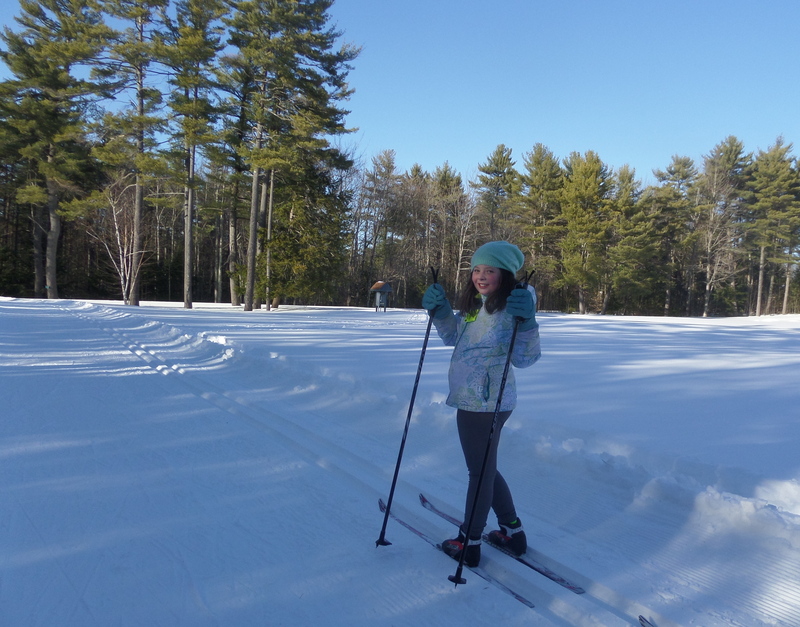 Thanks to this amazing program, our family can check out some more great places to cross-country ski. 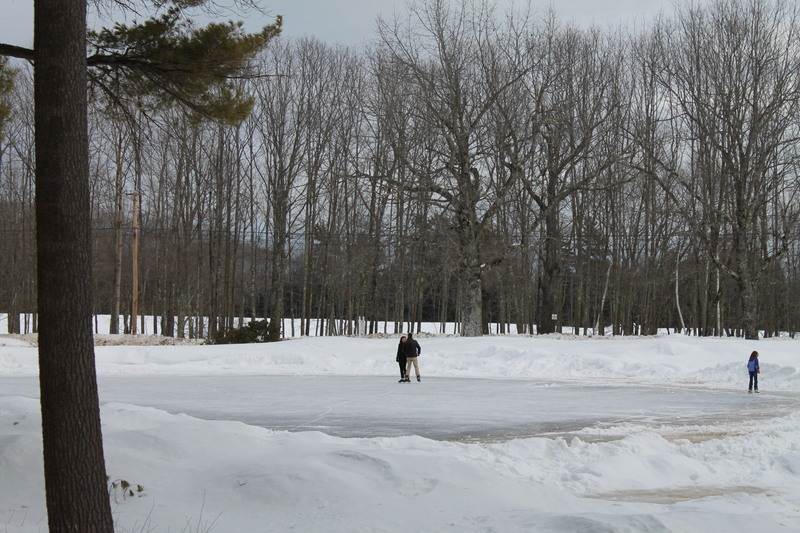 FMI on Pineland Farms Ski Center, visit here. To learn more about WinterKids, check out winterkids.org. 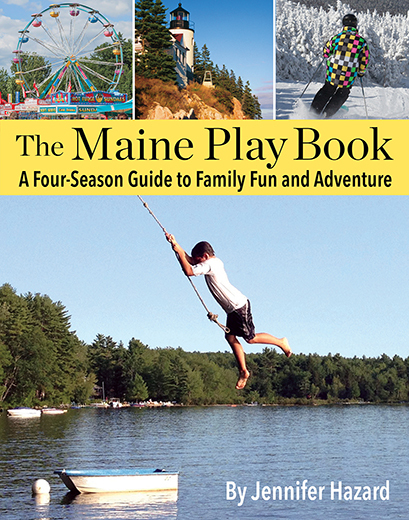 PS: For Maine 5th, 6th, and 7th graders, WinterKids also offers a special passport for discounted skiing and snowshoeing.